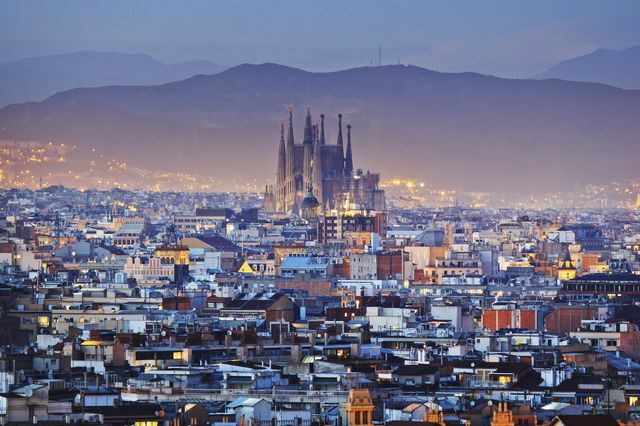 One simply cannot deny that Barcelona, the Catalan capital, will delight your senses by delivering an unparalleled cultural, culinary and nightlife experience. A day in Barcelona revolves effortlessly around food, art and drinks. Set on the Mediterranean coast, this honeymoon destination is ideal for those seeking pleasure, indulgence and chic exoticism. Culture vultures can wander the city and tour the plethora of museums, one of which features Picasso’s famous work, as well as see Gaudi’s peculiar architectural masterpieces. The streets are filled with music whether it is lounge music coming from a nearby bar, a spontaneous band set up along the beach or opera singers taking advantage of the acoustics behind the walls of a cathedral. Foodies will be elated with breakfast in the Boqueria market alongside chefs running their fresh produce errands of the day, a three-course lunch service alfresco and a late dinner of ‘raciones’— a platter of cheeses and cured meats at a wine bar. A night out in Barcelona means bar hopping and goes on until sunrise. Whether you're looking for fantastic food, incredible culture, or amazing nightlife, a Barcelona honeymoon truly has it all! Early spring and autumn are the best times to visit as they sit between the busy, hot summer holiday months and the cool but not too cold winter. The ocean is warm enough for swimming between June and October. Bar Hopping: Cocktails and cured ham to a live DJ set. Repeat next door. Tibidabo by Tram and Funicular: A panoramic view of Barcelona accessible by tram and funicular. Dali’s Theatre Museum: A surrealist building showcasing the work of influential surrealist artist Salvador Dali. Plaça Reial: Popular square in the Gothic quarter lined with cafés, restaurants and bars. Santa Maria de Montserrat: A stunning monastery located on jagged mountains 30 kilometers from Barcelona. Sant Sadurní d'Anoia: The epicenter for the production of cava, a Spanish sparkling wine. Barcelona Honeymoon - Any tips? Recommendations ? We are getting married on April 21st and fly out the day after ! This is our first time visiting any part of Europe. Has anyone visited Barcelona and have any advice to share? Hey everyone!My FH and I just booked our honeymoon to Barcelona and we could not be more excited!! Has anyone been before and if so, where do you recommend doing/seeing/eating?